What has always taken the longest period of time to perform? 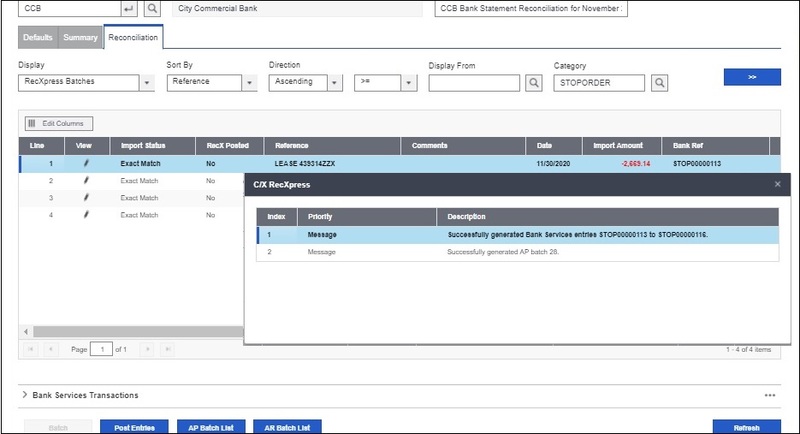 The Bank Services reconciliation can take many hours to balance. 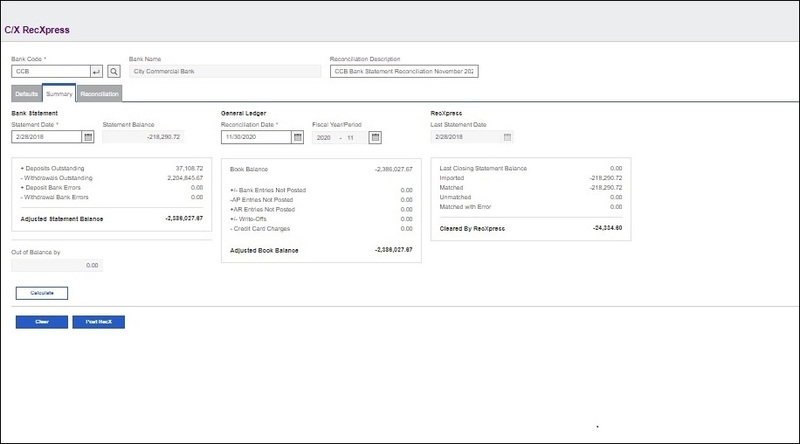 By using the technology developed for our flagship product Cashbook, we can obtain an automatic match of up to 99% of your Bank Services entries using RecXpress. This product should definitely speed up your bank reconciliation exponentially. 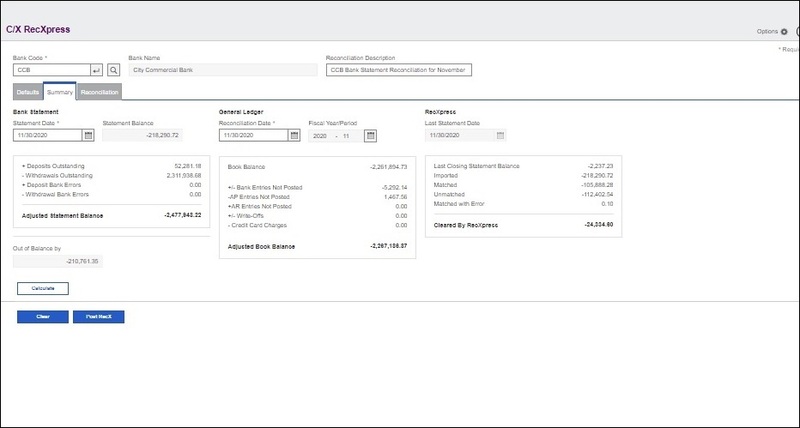 You will definitely be able to add that final edge that you require from an accounting system to make your bank reconciliation quick and simple. Hundreds of existing bank formats immediatly available. 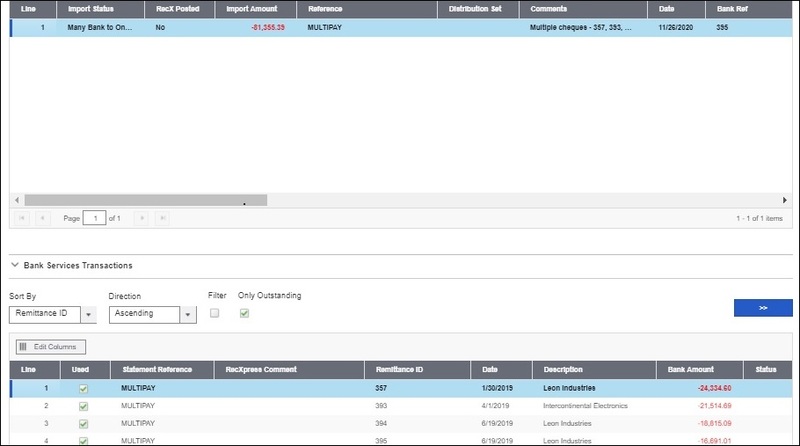 Add your own bank format by supplying Peresoft with the bank format required. Bank balance obtained from the bank guarantees 100% accurate bank balances when importing. 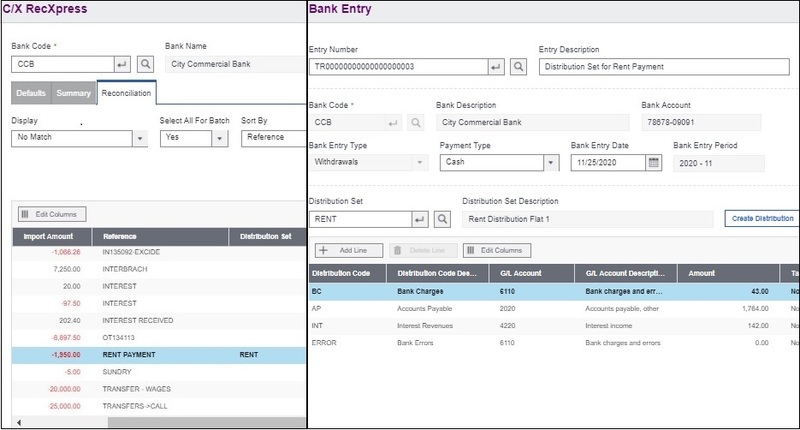 Use Transaction Codes to recognise repetitive enries and create rules. 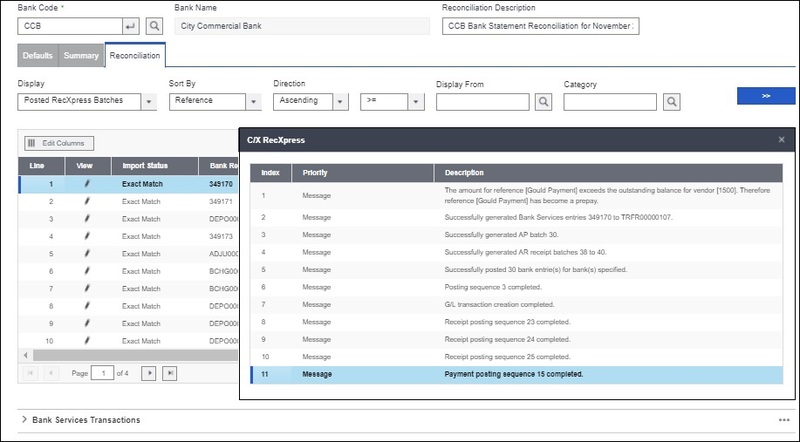 RecXpress will create batches with these defaults that will be posted all the way through to Accounts Receivable and Accounts Payable. 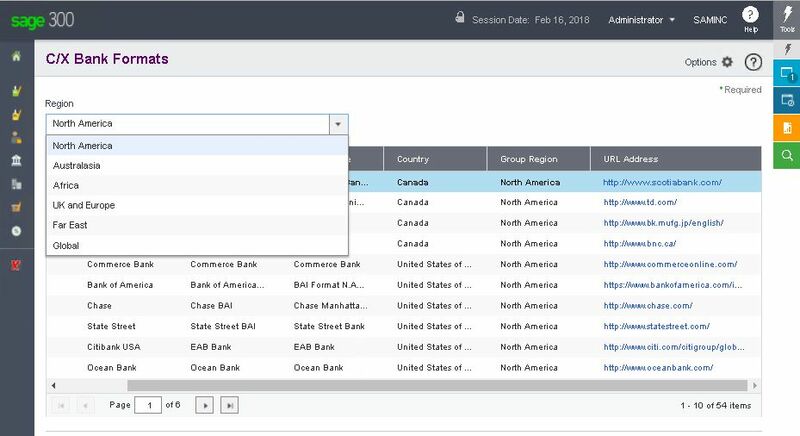 Create multiple entries by using Bank Service's Distribution Sets. Entries like rent information, staff salaries, etc. 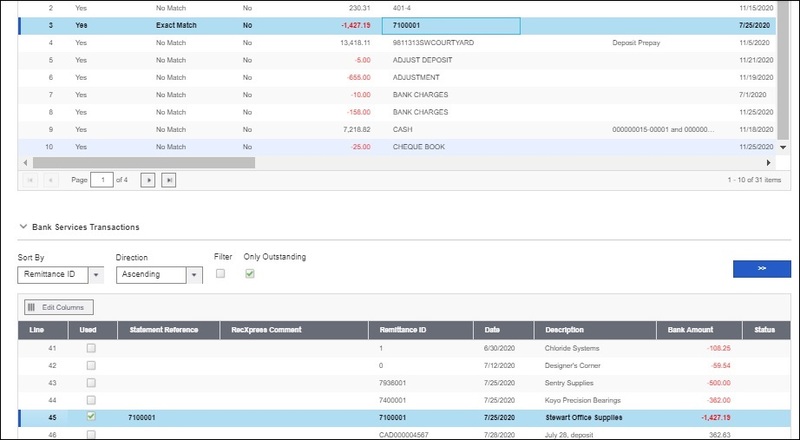 can be split into multiple details from one bank statement entry. 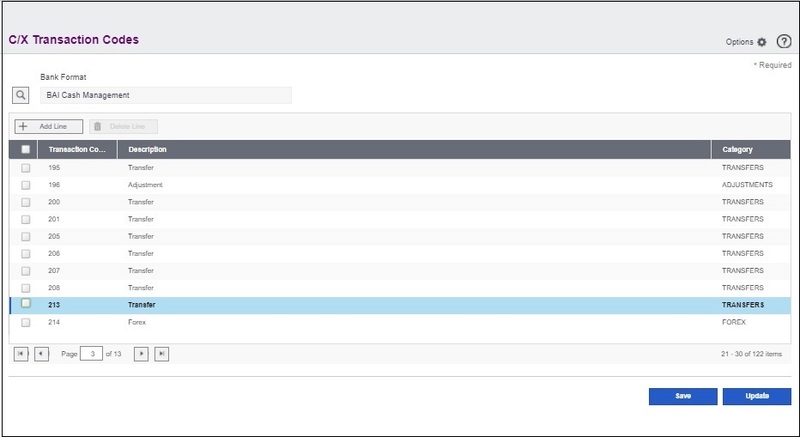 Customise and easily maintain your categories by copying and moving the entries across categories. 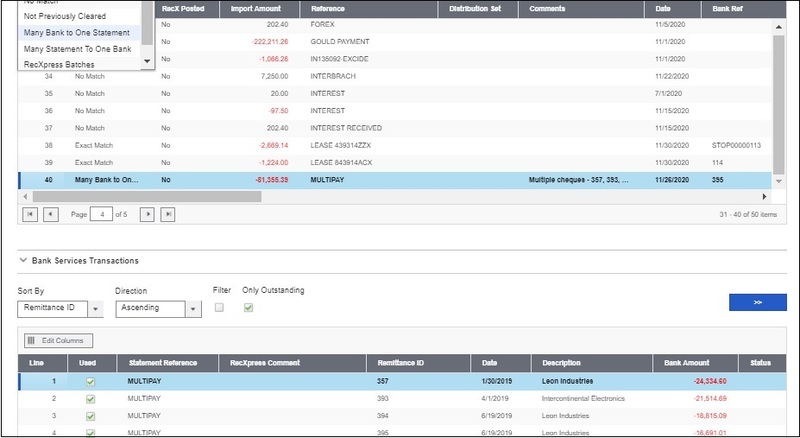 RecXpress will keep your bank statement correct by automatically calculating the statement balance when importing. 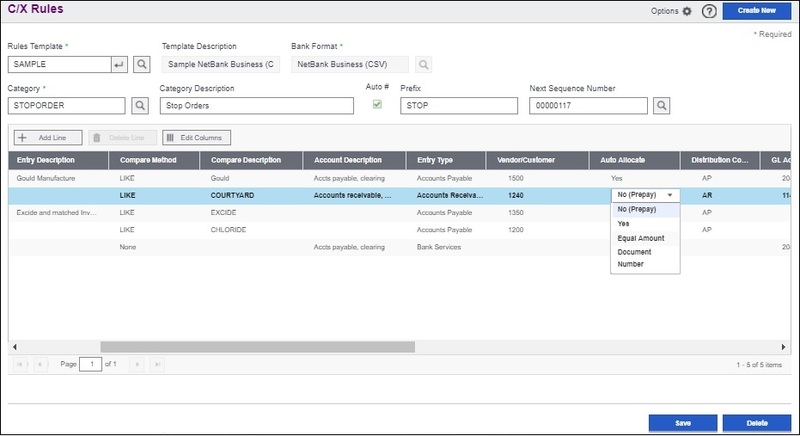 You can easily match entries manually to your Bank Services entries. 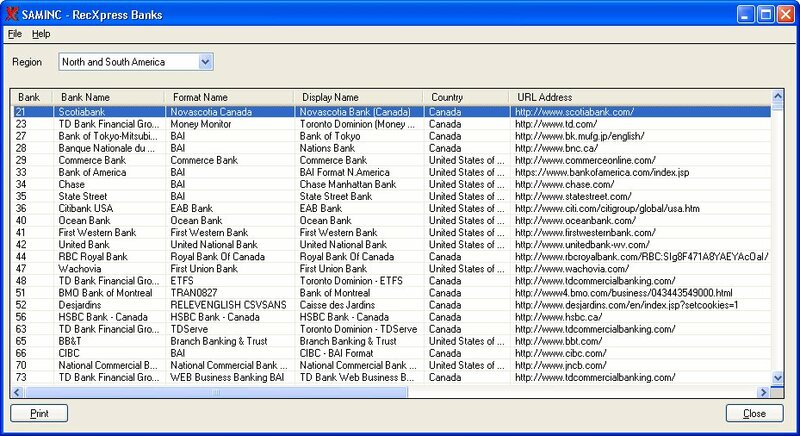 Match many Bank Services entries to one bank statement entry. 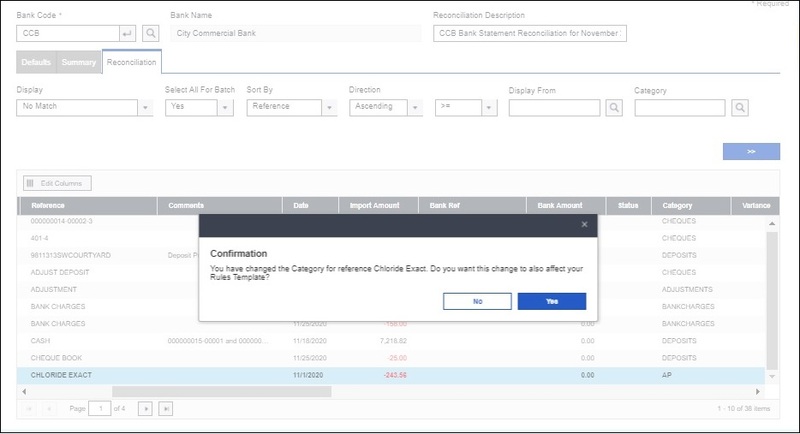 Match many bank statement entries to one Bank Services entry..
You can edit, move and change your default categories while doing your RecXpress Bank Reconciliation. .
RecXpress does not only take care of matched transactions, but also unmatched transactions through a Batch Generation feature. Your unmatched entries can be sorted by the category, e.g. bank charges, interest, forex, etc. and separate batches can then be generated. 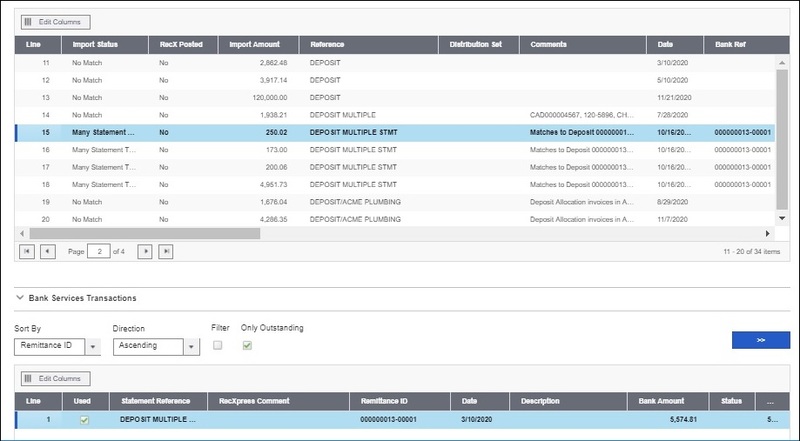 RecXpress can also generate a batch from the variance amounts that were 'Matched with Error' or let Bank Services do the writeoff. Post RecXpress batches and adjustment batch for unmatched entries. 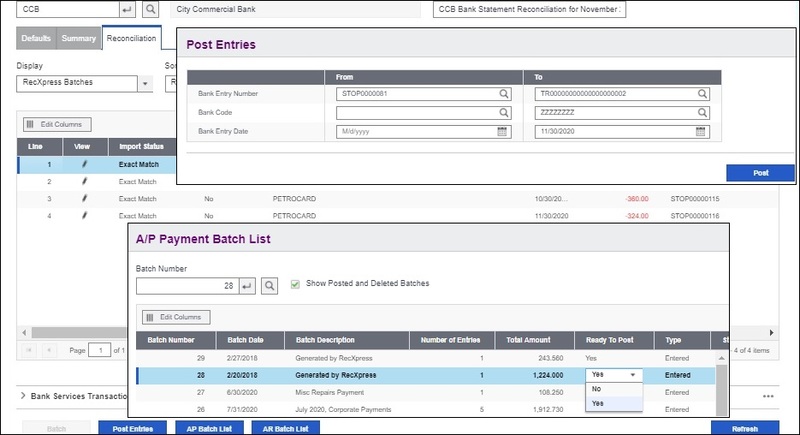 This will make the entries correctly matched..
Batches generated by RecXpress can be automatically posted in AR, AP and Bank Services providing minimal user intervention. 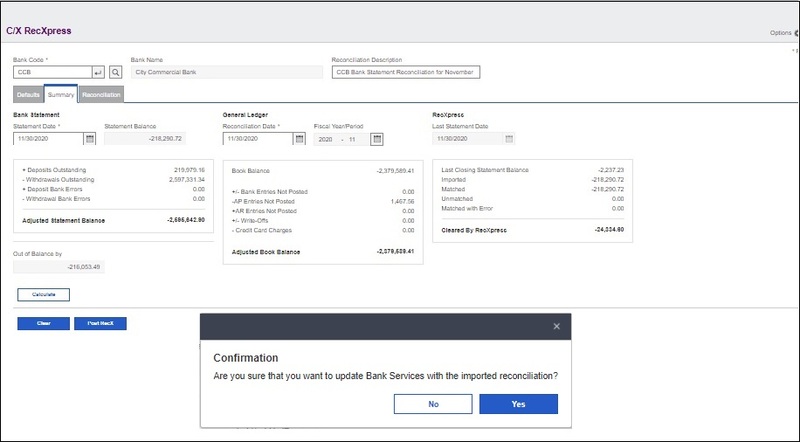 Post the RecXpress reconciliation to reconcile all the posted and matched entries in Bank Services to complete the process to match the balances correctly in Bank Services with your bank statement. Once all the entries are generated, posted and matched the balances are correctly matched and the reconciliation is not out of balance.